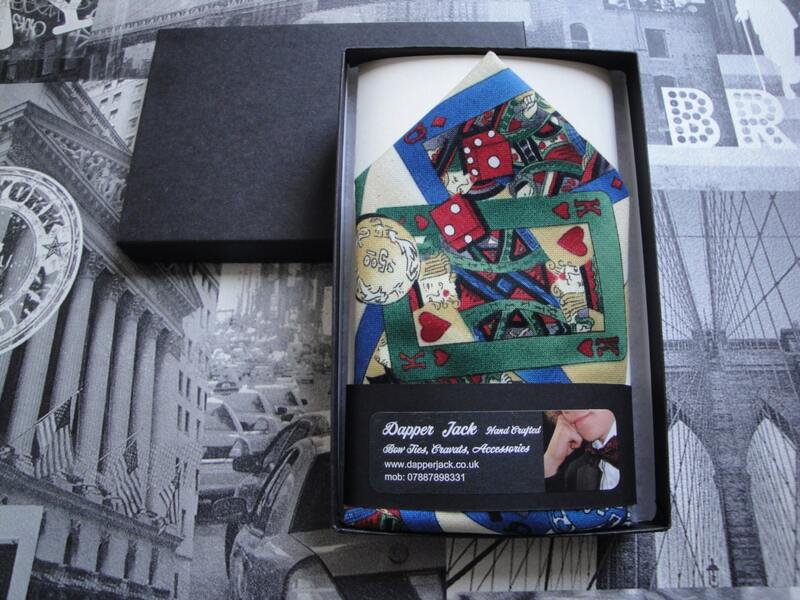 Pocket square in casino cards and dice print on a cream background. 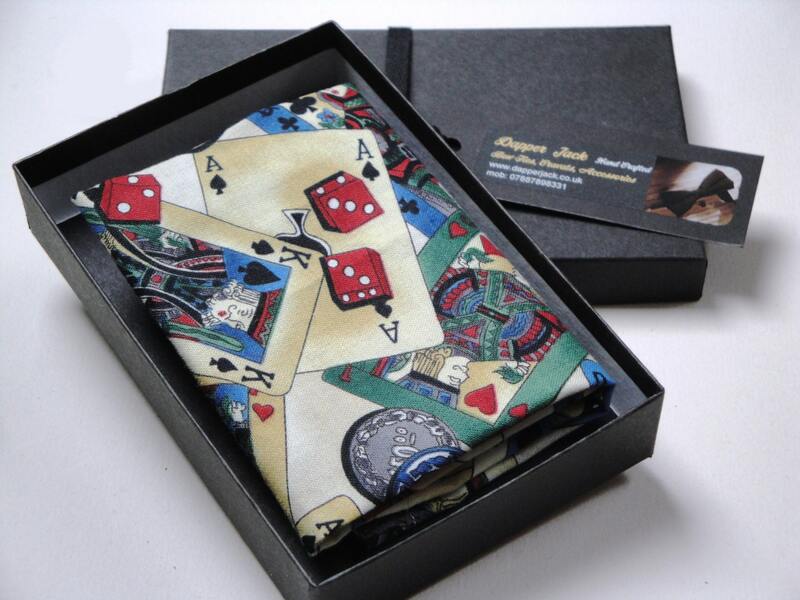 Pocket square measures approximately 12" square. Shipped world wide from the UK. Please allow up to 2 working days for delivery in the UK and up to 7 working days for all other countries.